FreePBX uses the "postfix" package by default to send emails. This usually works for most people, but since the emails are just being sent directly from the FreePBX machine and not a standard mail server, it is most likely to get flagged as spam. To lower the chance of messages getting flagged as spam, I setup a Gmail account and used its SMTP servers to send email. I have performed these steps on the FreePBX 1.814 and an earlier distribution. If you're using postfix for email, then these instructions should work for you. 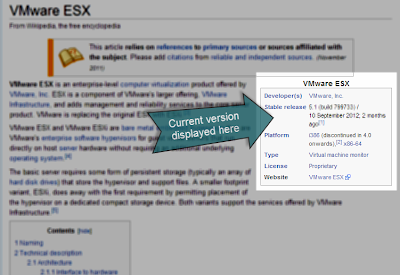 What's the current version of VMware ESXi? 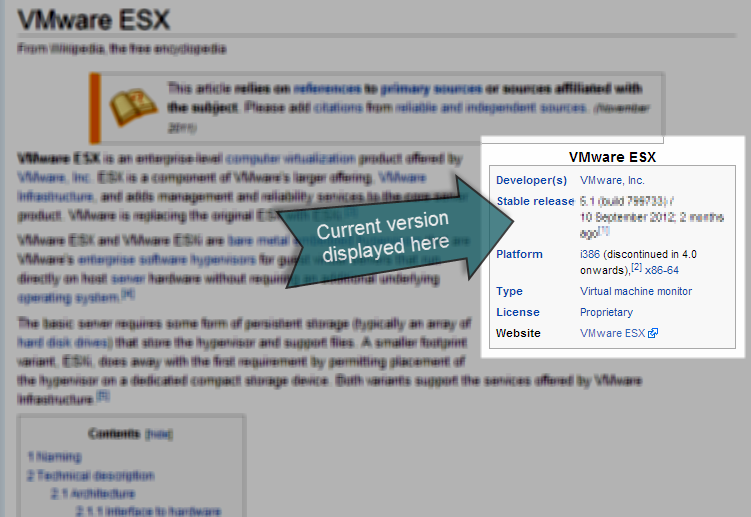 You can find the current version of VMware ESXi (and ESX) on the VMware ESX Wikipedia page. Its quickest option, and usually updated within a few days of release. I've resolved this issue, but I wanted to write a quick post about the issue and the problem that caused it. The HTML include macro was also not showing up in the macro browser. The solution? Re-enabling some modules for the "Confluence HTML Macros" plugin. Instructions for re-enabling the plugin are found on Atlassian's site here. and things were up and running again after that. It seems confluence may have added this xhtml module since the 4.2 release, and caused a conflict which lead to the modules being disabled.